"Bless the Lord, O my soul, and bless my whole being with his holy name. 2 Bless the LORD, O my soul, and do not forget any of his benefits. 3 He who forgives all your iniquities, He who heals all your diseases; 4 He who rescues your life from the pit, He who crowns you with favor and mercy; 5 He who satisfies your mouth with good so that you rejuvenate yourself like the eagle. The psalmist makes a conscious effort to remember what God has done for him, he gives an order to his mind not to forget. In your difficult moments, sit down and make a list; you will realize how many times God has rescued you. You could have been in a worse situation, and God rescued you, arrived on time to save you. Sometimes, we blame God, we wonder why he was not there, when sometimes, what we live are consequences of our bad decisions, and what we are seeing is how God is putting his hand not to let things be worse, do not reach a higher level, but God is who puts his hand and takes us out of the hole in which we have fallen. Perhaps you, today, have been in the hole of financial problems for some time, discussions that do not stop growing, you are not happy in your home, the heartbreak has touched your life, you are in the depression pit. Maybe you have sought help from the psychologist, from a family member; you have put your hope in natural, earthly things, when in fact the only one who can rescue your life from a hole is God. That word rescue has to do with paying the price. When you fall into difficult situations, through mistakes, through difficulties, God pays the price for you, He rescues you, He pays the price for you. The psalmist also says that God crowns you with favors and mercies. In some English versions, it says "loving kindness and tender mercies" or "loving kindness and tender mercies." God shows his love and mercy to your life, despite your difficulties. The scripture continues saying that God satisfies your mouth with good, so that you rejuvenate yourself like the eagle. God changes your way of speaking and your life, so that you begin to renew your whole being. In the midst of situations, one of the most negative things that can happen is that you begin to declare negative confessions. This brings what is cargo; but God blesses you in such a way that your mouth will not have to talk about the negative thing that happened, but there will be good for your mouth. Out of you will come out phrases of gratitude, testimonies, favor and grace, because of that you will be full. That is what the Lord does in your life. And it is sad that people do not stop to think about these things, that they do not understand the importance of seeing God in their lives and in everything He has done for them. I pray for you, if today you need a rescue from God in your life. I believe God with you for a time of transformation. Perhaps, today, you wonder what benefit there is in serving the Lord; and it is that you have forgotten all the things that the psalmist says that you have to remember. You have forgotten that God forgives all your iniquities, that He heals all your ailments, rescues your life from the hole, crowns you with favors and mercies, satisfies your mouth with goodness so that you rejuvenate yourself like the eagle. And the next verse says that it is God who does justice. Today, I believe with God for your miracle. I declare that God today rescues your life from the hole. God has always been there for I won't fail to keep showing my gratitude to Him. Only He can rescues man from whatever pit and hole a man's finds himself. We should not always forget this fact, we should not in anywhere accuse God rather we should always thank for always coming to our rescue. If it hath not been the Lord, we would have been consumed. We must always be thankful. @Darlenys01, thank you for sharing with us. We must consciously teach our souls and every part of us to acknowledge God ans extol His wonderful works toward us. 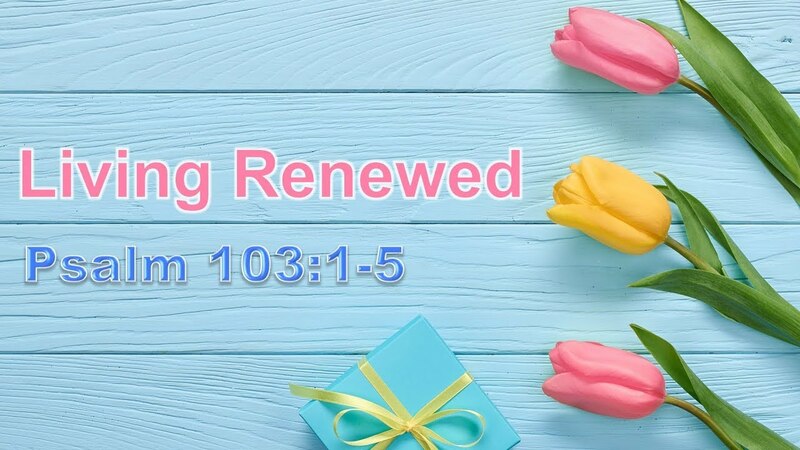 Like the Psalmist, we must not forget his benefits toward us, for in expressing our gratitude we'll be renewed. Another great benefit is the importance that God gives to our body. He brings healing in this life through the natural, the scientific, and the miraculous. He promises a final healing for all his people in the age to come. We are connected @darlenys01 n a same feeling, also speak in my message about psalms and words of encouragement for the people of God. God is the only one who can save us when we have touched bottom. Great word apostle @darlenys01. HEALTHY OUR DOLLARS (Verses 3b) .- Just as Christ healed the woman with the flow of blood, so he healed Simon the leper, as he healed the daughter of the Syrophoenician, and as he resurrected the young man of Nain , the same can do with our diseases. BLESS US WITH MATERIAL PROPERTY (v. 5). God reminds us: "But remember the LORD your God, for he gives you the power to do wealth, to confirm his covenant that he swore to your fathers, as on this day" (Deut 8:18). IT IS MERCIFUL AND CLEMENTE (verse 8). Without a doubt, his mercy is the main reason why we continue with life. Let's exclaim together with Moses: Jehovah! Jehovah! strong, merciful and pious; slow to anger, and great in mercy and truth (Exod 34: 6). Bless, my soul, to Jehovah: David called his soul to bless the Lord. It was as if David would look at his soul and understand that he was not worshiping God enough. He called his soul to do it even more. David also understood that worship has more to do with the internal; It has to be given as completely as possible. He wanted his whole being to worship God. I pray for you, if today you need a rescue from God in your life. I believe God with you for a time of transformation. Perhaps today you ask yourself what benefit there is in serving the Lord; and you have forgotten all the things that the psalmist says you should remember. You have forgotten that God forgives all your iniquities, that it heals all your ailments, rescues your life from the hole, crowns you with favors and mercies, satisfies your mouth with kindness so that you rejuvenate yourself like the eagle. And the next verse says that it is God who does justice. Today, I believe with God for your miracle. I declare that God today rescues your life from the hole. It is interesting to know all that God does for all of us. How it crowns us with favors and how it strengthens us to rejuvenate us. Wonderful message of reflection and to encourage others to recognize the favor of God in their lives. Blessings, apostle.